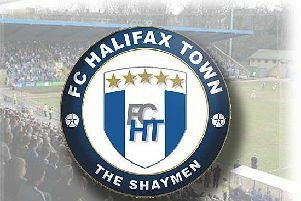 FC Halifax Town and Guiseley square up for the fourth time this season when they meet at The Shay on Saturday (3pm). Guiseley beat Town 2-1 in the return league fixture, while Halifax beat Guiseley in an FA Cup replay at Nethermoor after the teams had drawn the original tie at The Shay. If Town win on Saturday, it would be the first time they’ll have recorded three wins on the spin for over a year since they beat Lincoln in August 2014 to make it five wins out of five at the start of last season. Caretaker-manager Jim Harvey has guided Town to two wins out of two since the departure of Darren Kelly, and could remain at the helm for the rest of the month. Kevin Roberts and Matty Brown are both injury doubts, with loanee Ben Clappison set to deputise for Brown if he fails to recover from his back injury. Guiseley go into the game in 16th place and on the back of a 2-0 home win over Bromley last time out. That came after three straight defeats, with Mark Bower’s side only winning three of their last 13 matches. Only Kidderminster have won fewer away games in the division than Guiseley, while only Welling have scored fewer away goals than them. Town could move up to 21st in the table if they win and other results go in their favour.